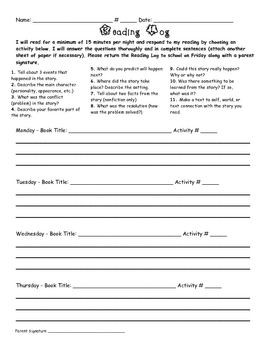 This reading log allows your students to respond to their nightly reading. There are 11 response choices that your students can choose from. Some of these topics include describing the setting or character, explaining the main events in the story, or sharing new facts that they have learned. There is room for a parent signature at the bottom of the page.